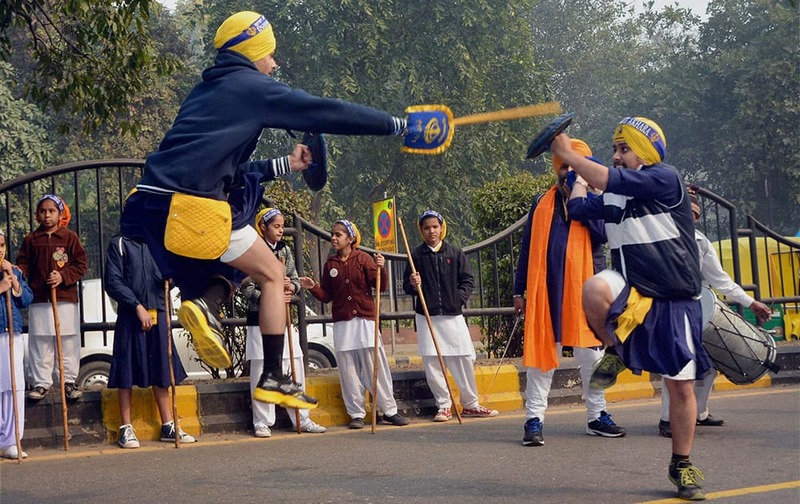 An Indian Sikh boy displays his martial art skills during a religious procession to mark the birth anniversary of Guru Gobind Singh, the tenth Sikh guru, in New Delhi. 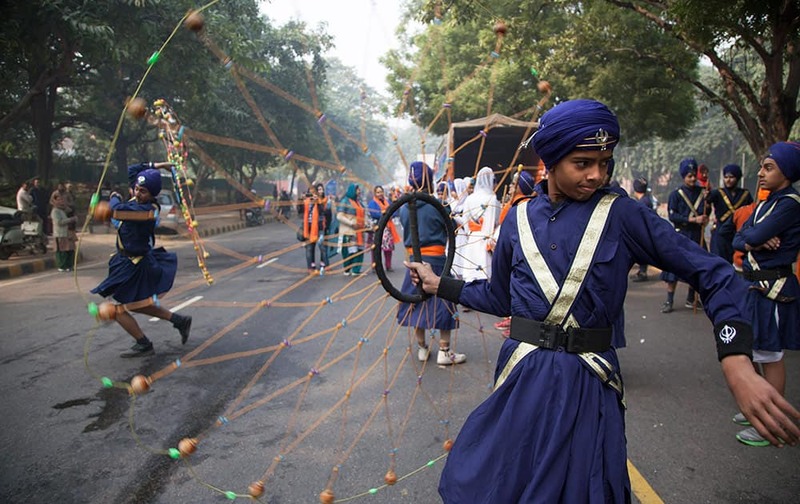 Indian Sikhs participate in a religious procession to mark the birth anniversary of Guru Gobind Singh, the tenth Sikh guru, in New Delhi. 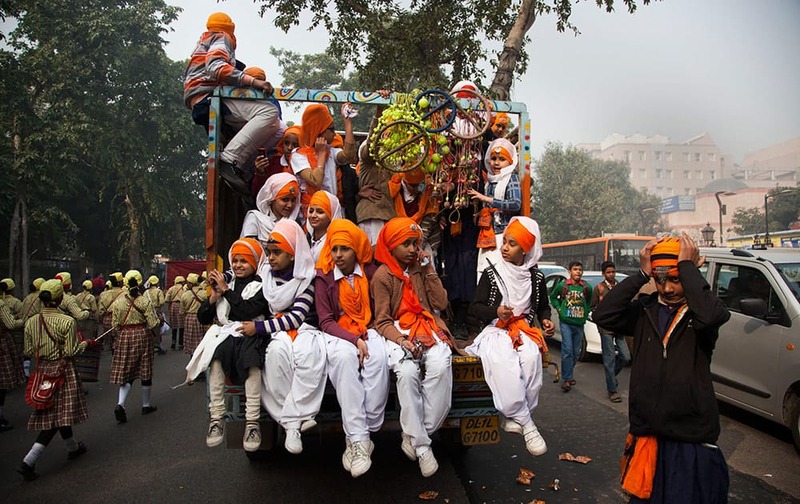 Sikh devotees at a Nagar Kirtan on the birth anniversary of Guru Gobind Singh in New Delhi. 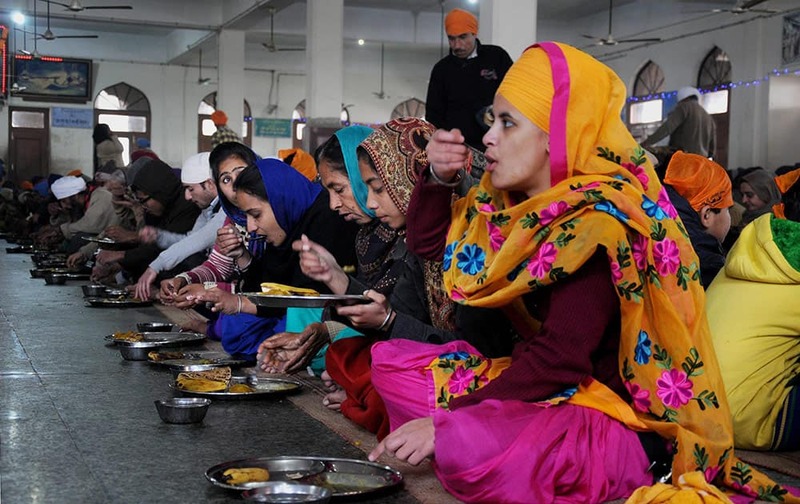 Devotees during langar on the occasion of birth anniversary of Guru Gobind Singh, at Golden Temple. 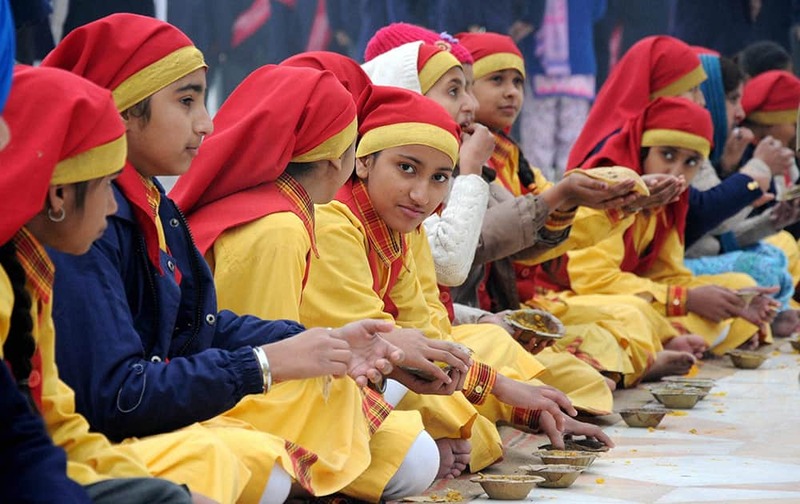 School students during langar on the occasion of birth anniversary of Guru Gobind Singh, at Golden Temple. 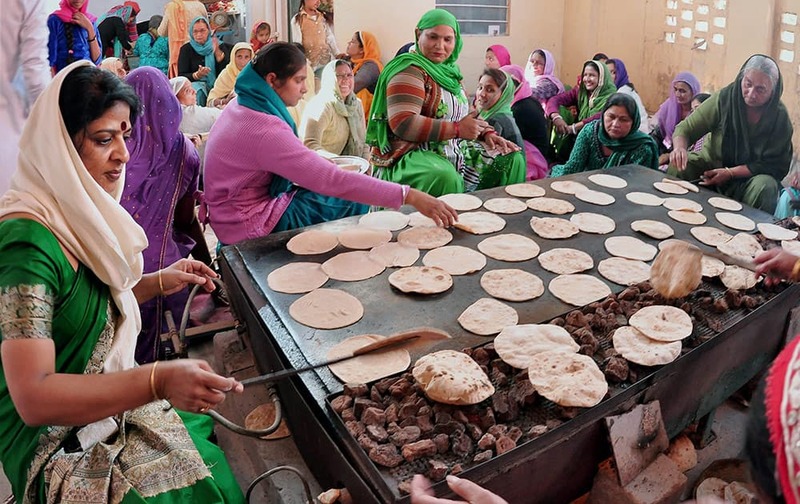 Women preparing Prasada on the occasion of Guru Gobind Singh Jayanti at a Gurudwara. 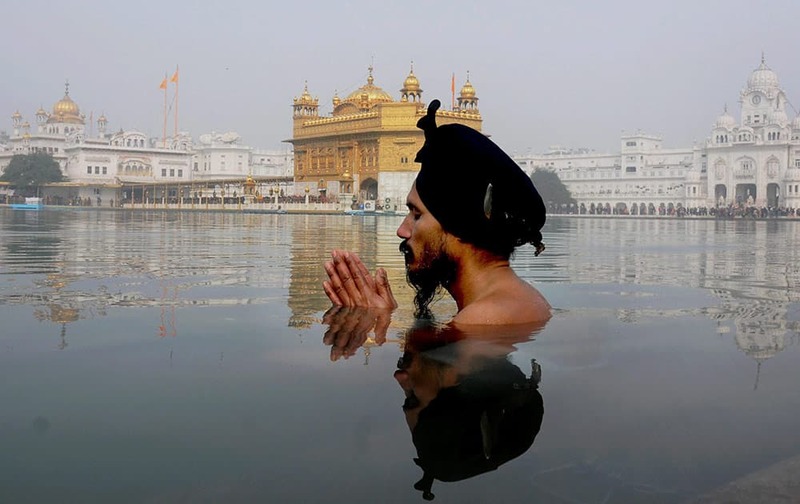 A Sikh devotee takes dip in the holy sarovar at the Sikh Shrine on the occasion of birth anniversary of Guru Gobind Singh, in Golden Temple. 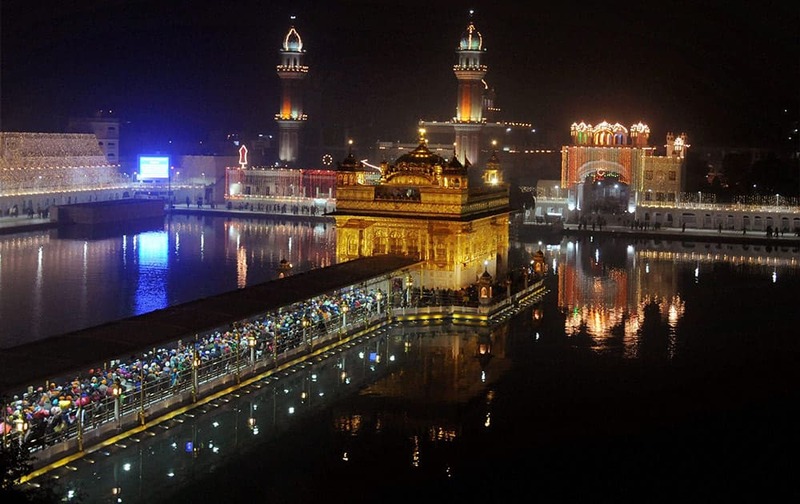 A view of spectacularly illuminated Golden Temple on the eve of birth anniversary of Guru Gobind Singh, in Amritsar. 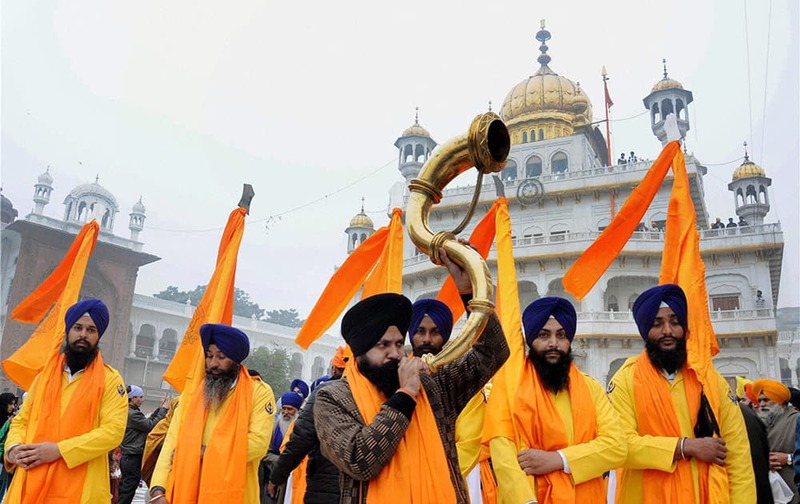 Panj Pyare members during a religious procession at the Golden Temple on the eve of birth anniversary of Guru Gobind Singh.